← My Zynga! How does one fall so fast? This is an interesting article because obviously Microsoft knows that with all the new technology out, another version of the Xbox will not be as successful as the previous one 8 years ago. I can relate because the Xbox is out of date and it takes up valuable space that could be used for better things or more innovative games. It is an eye sore and it makes it difficult to store in an attractive way for the home décor. It would be more appealing if it had multiple purposes, especially since it is an expensive purchase and some boys will grow out of it. I think that Microsoft is on the right track finding new ways to reinvent the product so that it does have a longer life cycle and is a smarter purchase for parents who buy it for their children. The I-pad is a huge competitor nowadays. I agree with the previous comment from spr1322cleahy. In today’s economy, you need to make your product multipurpose, in order to deliver profit. Look at cellphones and all the features they now have (such as advanced photo editing in Galaxy S4). I think Xbox poses a treat to Apple TV. I am curious how Apple will respond to Xbox one. Great post! I think the days of gaming consoles are numbered. The popularity of Xbox, PlayStation and a number of other consoles reached its peak years ago. As the article mentioned the mobile phones and other technologies are taking over and people only have so much time on their hands to play with electronics so we will see a shift from gaming consoles to the hundreds of other devices available for browsing. I agree with the previous comments. I do not think that the Xbox One will be as successful as hoped. This new console does not provide many services that other devices cant. The mobile industry and Apple are certainly responsible for detracting from the popularity of gaming systems, so I think Microsoft will surely have an uphill battle. I think that this is a really good post. I don’t agree with the last few comments about the new Xbox not going to be as successful as hoped. I do not play video games as much as I did in the past, but I still own a Playstation 3. I use it to watch Netflix on a regular basis. I probably will buy the new Xbox system and I know the younger generation will be really excited to get the new system coming out. In my opinion, the system will sell as it is a brand new console and it will be a hot item. Kids will want to buy the Xbox One or PS4. I believe the Xbox One and PS4 will make money and will succeed in this market. People will buy the console because it has multimedia and social networking features. I think the Xbox One will sell really well, but the audience will be more than strictly gamers. Microsoft has responded to this issue regarding the introduction of mobile devices however I believe they handled it wrong because they have angered consumers. Previous Xbox discs will not work on the new Xbox one system and they have anticipated that players are now borrowing or trading to other players so in efforts to avoid losing profits they have put a fee on using other peoples games on your device. This has a huge potential to backfire because people will just by the older systems where they are free to use the Xbox discs they have and their borrowing is not regulated.n Innovation should encourage consumers to by the next product like Apple and Samsung has been successful with, not discourage. There will always be a demand for traditional gaming because there are games that are more fun with traditional way. Just like the Kinect. The Wii’s motion technology isn’t on mobile gaming yet. So there is still a competitive advantage that traditional gaming systems have. The mobile gaming industry is big because it is less expensive than traditional gaming. A video game on a console may cost $60 but one on iPad is only $5. This is because there is a lot less overhead with the mobile gaming industry. I agree with the article about the fact that its cheaper to play games on your phone then it is on the system but I also feel that people still want the systems since that’s a much different gaming experience for them. I like what Microsoft is doing right now and I think that it will definitely help them stay competitive in the market. I like the idea of having different apps in the system and also some of the other features that the system has because I feel that it makes it more attractive and its not just a gaming system. You brought up a lot of great points in your article. 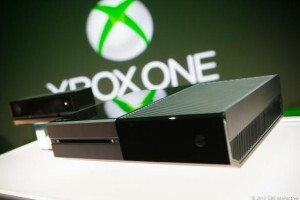 I believe there are still gamers that will buy game consoles such as the new Xbox. The Xbox 360 product life cycle was very long and drawn out, so I think that it is why there was such a decline in sales. I think that people are very excited about the release of the new Xbox. I don’t know all the features of it, but I bet Microsoft will add many new functions to it. There is a lot of anticipation for this game console and I believe it will do just as well as the 360. As an avid video gamer, it is always intriguing to read about such developments and trends in the gaming industry as mentioned in this post. But I have to agree with commenters like spr1322jkhandwala, in that I do not believe traditional gaming systems will be severely affected by mobile gaming; they market to entirely different consumers who favor different experiences. I do agree with the post, however, in that I think the trend is heading towards transforming the traditional video game console into its own home entertainment system and social hub, as a way to stay innovative and relevant in an increasingly interconnected world. Though I do not believe PR for Xbox One has handled its marketing well to emphasize this, the future for traditional gaming is not yet bleak. This made me think about an article I just read (“Game The System” p26 in Popular Science June ’13 – yes I’m that kind of dork) that entertained the idea that the new threat to these traditionally popular game consoles is the Android platform. Its open source code makes is easy and cheap to develop games for, and its low overhead makes is possible to run on cheaper and more accessible hardware. Plus, the Android platform is by far the most popular (by sales of mobile devices) and wide-reaching platform – even running on some TVs and appliances – and since it’s designed to run on mobile devices it doesn’t have the same hardware requirements as the other platforms. There were 3 products covered in the article that had the form factor of a hand-held controller, that contained all the necessary graphics and processing power and memory and could be plugged directly into a TV (the NVidia device even had a small flip-up screen) and were inexpensive – at least relative to an XBox or PlayStation. Games would be downloadable like apps on Android mobile phones, and due to the lack of licensing fees and the ability for developers to self-publish, they estimated that most games would be $10 or less. It’s even entirely possible that mobile phones could double as the game console, connecting to the TV and game controllers via Bluetooth, with games that could be transported easily and even taken mobile so as not to miss out on the action as one would if tethered to a traditional game console. The most compelling reason that this is relevant is that now more than ever, most people of prime gaming age value convenience and cost more than ultimate performance when it comes to games, music, etc. So if you can get the same game for much cheaper, on a device that you already own and that you take pretty much everywhere you go, what is the value in a dedicated game console like the XBox, Playstation, and Wii? Yes, Microsoft is going to have a major problem enticing people to buy this new gaming console. Not only are the games outrageously expensive, but also limiting them to only one XBOX is outrageous. With people still being nervous about the economy and with alot of people still out of jobs, i do not think Microsoft is going to have as big of a hit as they thought they would. The gaming industry needs to find a way to make things cheaper, or they will all go under. I don’t think mobile gaming poses a thread to traditional consoles. First of all, they cater to 2 different markets. People who play games on phones are casual gamers. Phones can’t always offer the same depth that a console does. Secondly just because sales are dropping does not mean they’re instead going to mobile games. The current generation of consoles has been one of the longest and most people already own a system or are waiting for the newest ones. As an XBOX user myself, I have noticed the difference that Microsoft has been attempting to make. They have added features such as Netflix, ESPN, YouTube and other arcade games to their system in an effort to become more versatile. With the XBOX 360 being one of the most common video game systems, the XBOX One would have a lot to live up to as there is a reputation that precedes it. If Microsoft truly does put out an exceptional product, it will have more than just Sony to compete with but they would have to compete with their own Xbox 360 line since it is indeed very popular.